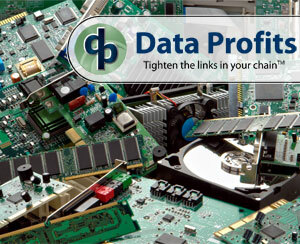 Data Profits > Blog > Resources > Blog > Inventory Replenishment: Is Your Big Data Creating a Big Mess? How often has this scenario popped up in your buying offices? On Monday morning, everyone gets a big pile of reports(paper or digital) on everything from sales to web traffic to attachment rates. Some of these reports may be very sophisticated and come with some very impressive graphs. In these reports, several glaring issues are quickly identified by the category team. One of these issues is Product A. Product A is suddenly taking off in sales and it’s obvious that more needs ordered immediately. Great catch everyone! Pats on the back all around. So helpful to have all this data! Then reality sinks in when it’s time to fix the problem. The inventory replenishment specialist in charge of Product A logs into the inventory replenishment system and proceeds to go thru the lengthy and tedious task of manually updating each locations order levels. Or the demand forecaster goes thru the painful and arduous task of manually updating each location’s demand forecast. Or the buyer creates a spreadsheet of the amount to buy for each location and manually enters POs “to cover us while the system catches up.” As quickly as the issue was identified, why is it still so hard to fix the problems? 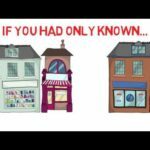 Considering more ideas for your business using demand driven concepts? Gain insight into methods that just work in today’s modern supply chain. Retailers often struggle to integrate big data into their inventory replenishment and demand forecasting systems for one simple reason: 95% of retail inventory replenishment systems are not made to handle Big Data. Demand forecasts are generated from a surprisingly small set of data and replenishment orders are calculated using a very simple method. Key pieces of data that would influence orders and demand forecasts have to be manually input. 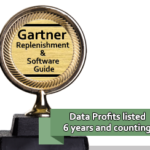 Most demand forecasting and inventory replenishment systems are missing or fail to accurately account for lead times, promotions, market trends, and lost sales, let alone adding in data from other sources. Add to those misses the circuitous route that the user has to take to fix demand forecasts and order points, and you have a recipe for Monday morning firedrills and late nights. None of these issues is likely to be fixed soon; your next system update is still 1-5 years out. 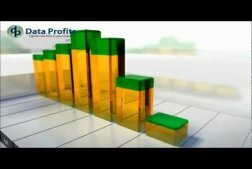 iKIS™ from Data Profits is different. Our demand-driven replenishment system uses your supply chain data to forecast lead times, spot market trends, adjust forecasts on lost sales, and more. Our SaaS supply chain solution makes finding and correcting issues a breeze, freeing up you and your staff to become more proactive and less reactive. Contact us today to set up your free demo and start making use of your Big Data.